This global shipper is a leader in frozen and refrigerated (reefer) food products and logistics marketing. They work with supplier partners and customers in more than 140 countries on six continents. They're one of Maersk Line North America's top five refrigerated export customers. Founded in 1904, Maersk Line, part of the multinational Maersk Group, is a trusted, global transportation partner dedicated to reliable services that deliver its customers' promises and support their success. Unmatched schedule reliability, extensive resources, and depth of coverage produce optimal results. 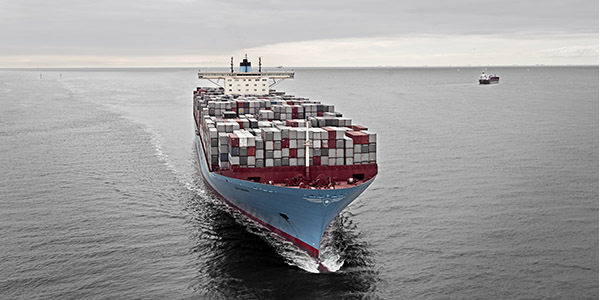 At Maersk Line's core is a strong heritage of uprightness, constant care, and innovation. In a time when operational challenges plague our industry, customer service can make a difference. Such was the case for our customer, a world leader in marketing frozen and refrigerated food products. Too much or too little product is a problem under any conditions, but when it comes to refrigerated cargo in the complex port of Luanda, Angola, such problems can have costly consequences. With limited cold storage capabilities in Luanda, it was critical that only a manageable number of refrigerated containers would be delivered each week. Too much cargo would result in additional storage charges and customs clearance delays, while too little cargo would result in missed product delivery to the market. Consistent, reliable delivery was paramount.